Tekken 7 plays like an absolute dream and any missteps it makes elsewhere, and there are some missteps, are forgivable because it’s so darn fun to actually play. With a great cast full of varied fighting styles, nice presentation, and that tried-and-true Tekken 3D fighting gameplay, Tekken 7 is awesome. A surprisingly awful story mode dings it a bit and some long load times kill the pacing during lengthy multiplayer sessions, but the core gameplay will keep you coming back for more. Continue reading our full review of Tekken 7 on Xbox One for all of the details. 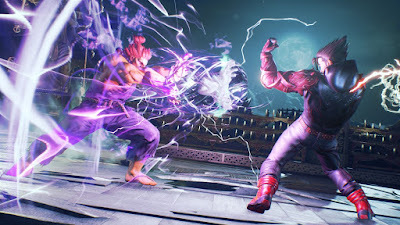 Tekken 7 ditches the traditional “every character gets a story ending” arcade mode in favor of a new modern Mortal Kombat / Injustice-style dedicated story mode full of cutscenes and scripted sequences. 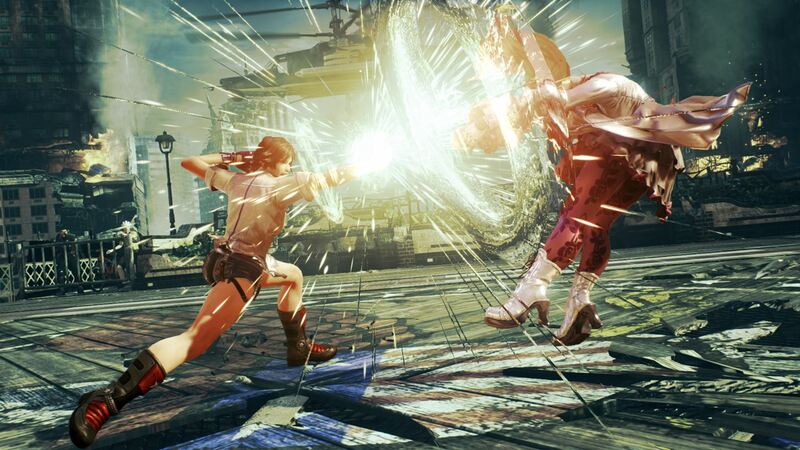 This type of story mode can be great when done properly – like the previously mentioned games – but can also be pretty terrible when it is half-assed the way it is in Tekken 7. The story is – not good. It is all total nonsense and gibberish. The gameplay in story mode is also weirdly scripted with optional – but sometimes necessary due to the insane difficulty spikes in the mode – shortcut commands that ensure you do the long combos and super moves the game wants you to in order to win. Story mode is a mess. Any characters that weren’t featured in the story mode do get their own brief story sequence consisting of just an intro, one fight, and an ending cutscene. Interestingly, you can also unlock all of the cutscenes and endings from all of the previous Tekken games in Tekken 7. The game does have a strange version of an “Arcade Mode”, but it only has a few fights each run and doesn’t reward you with a cutscene or anything when you beat it, so it’s pretty pointless. The other main mode – besides local or online multiplayer which is the beeeeeessssssttttt – is a solo mode called Treasure Battle. Everything you do in Tekken 7 earns you fight money that you can use to unlock a wide variety of character customization options and the aforementioned cutscenes from the rest of the series, but Treasure Battle is the easiest way to unlock new stuff for specific characters. Treasure Battle is basically just an endless series of fights with a ranking system and occasional modifiers that change how battles play out and is a ton of fun. The rewards are definitely worth it, too, as the character customization is surprisingly extensive. Regardless of the mode you’re playing, however, the gameplay remains consistently fantastic throughout. Tekken 7 maintains the series’ trademark high – medium – low structure and juggle-heavy fight mechanics and, despite the huge move and combo lists for each character, it remains as accessible as ever. 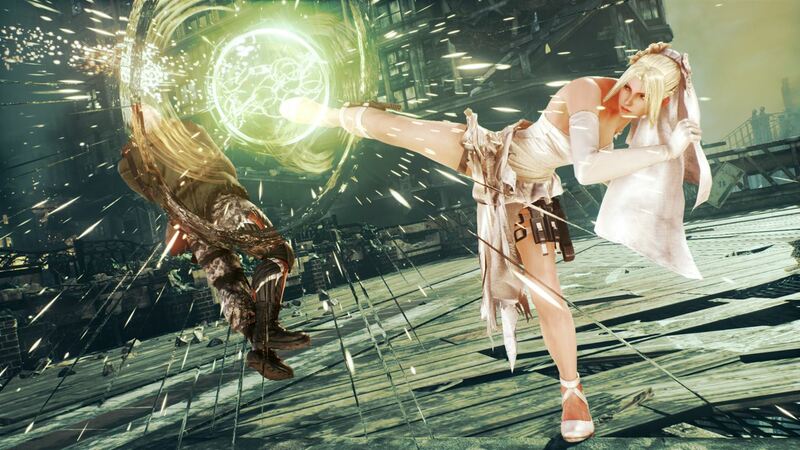 One new addition is Rage moves similar to Mortal Kombat’s X-Ray moves or Street Fighter’s Ultras that, when your health depletes enough, allow you to unleash a powerful automatic combo that can turn the tide in a fight. Most importantly, Tekken 7 has incredibly tight controls that just plain feel good. The game flows incredibly well from combo to combo or from offense to defense and is just a joy to play. 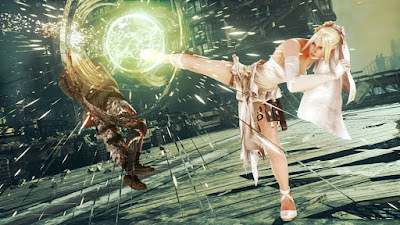 The cast of characters contributes greatly to how fun Tekken 7 is to play because there is such a wide variety of fighting styles to choose from. The 30+ characters represent boxing, wrestling, capoeira, street fighting, karate, and a lot more. There are bears and robots as part of the cast and even J-Pop idol cat girls. As serious as the main series story can be, Tekken is just as well known for a silly sense of humor and goofy cast and Tekken 7 doesn’t disappoint there. No matter what you’re looking for either aesthetically or fighting style-wise, Tekken 7’s cast is fantastic. The only real complaint I have with Tekken 7 is that it has some impressively long load times between each fight. Expect a good 30-second load time between every fight, which is absolutely ridiculous compared to every other fighter on the Xbox One. Those long load times really add up during multiplayer sessions. Presentation-wise, Tekken 7 is pretty great. Not top of the line visuals, but the game definitely looks good and the smooth transitions between animations make the fights flow really well. Where Injustice 2 is stiff and awkward looking, Tekken 7’s fights flow naturally. The game does have some pretty impressive special effects, too, with hit sparks and crazy particle effects that fill the screen. It looks awesome. It sounds pretty awesome, too, with a great soundtrack that we’ve come to expect from the franchise. The voice acting in story mode is pretty poor, though. All in all, Tekken 7 is exactly the game fans of the franchise have been waiting for. It maintains the fantastic best-in-the-business 3D fighting gameplay we all love with arguably the best cast of characters in the genre all wrapped up in awesome presentation. The story mode is a definite miss, but almost everything else in Tekken 7 is excellent and well worth the price of admission. Fighting game fans, particularly if you plan to play multiplayer either online or locally, need to play Tekken 7. Buy it.